Content strategy refers to the activity of shaping user experiences through the development, planning, management, and presentation of content. Content strategy draws some of its aspects from business analysis, content management, information architecture, and technical communication. 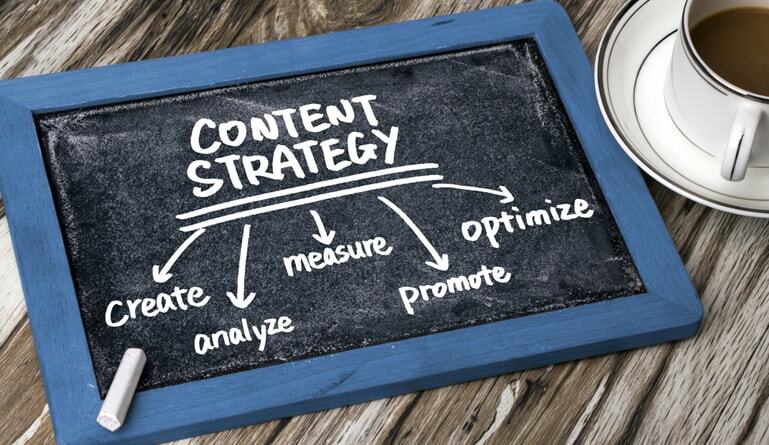 A solid content strategy is a vital part of any marketing plan. Marketers must create engaging and high-quality content across their website, blogs, whitepapers, videos, and social media. Here are ten important elements of a great content strategy. 1. A consistent voice. Your company should have a specific and consistent voice that spans across all the content that you produce, not just marketing content. You need to makes sure that all of your content fits the culture and voice of your company. You can make sure of this by utilizing a voice test to see if customers recognize your messaging as unique to you. Use the results of such tests to strengthen the quality of your unique voice. 2. Adaptability. Marketers have to be able to utilize multiple internet channels, including blogs, videos, social media, and whitepapers when presenting content. In order to make this easier, the content needs to be adaptable across all of those channels. It also needs to be reusable, only needing to make minor revisions or updates to use the same content at a later date. This eases the burden of creating new content because the best content has potential everywhere. 3. Testability. Companies should test their content before releasing it so that they can determine potential user reaction to it. The content that is most successful should serve as the model for other content that is to be created in the future. 4. Multidimensional content planning. When marketers are mapping out their content, they need to look at every aspect of it. They need to look at all the angles, influences, and overlays for the business, and take into consideration current events, lead times, and timing schedules. Many aspects of content strategy can be planned out for the entire year. 5. Take the customer journey into account. Marketers should look at every stage of the buying cycle in order to create content that is relevant to the customer’s needs throughout their buying journey. 6. Utilization of search engine optimization (SEO). Incorporate the best practices of search engine optimization into your strategy so that you can create the content that your target audience is looking for. Look through search engine queries, online reviews, and user-generated content so that you can find the right keywords for the product or service you are offering and create content that meets the desires of your audience. 7. Be helpful. Marketing content is often focused on company news, featuring products, or promoting services, thus creating standard pieces of marketing content. However, the most effective kind of content marketing provides solutions to the challenges and problems that customers are facing. 8. Incorporate your company’s core values. It is important that your content represents what is important to you and what your business stands for. 9. Make use of storytelling. Stories capture the attention of people, and they are a powerful tool that ought to be incorporated into your content. 10. Overarching theme. All your content should be anchored around a central theme, one that is timeless and that can be defined in one to three words. This helps you in creating long-lasting and flexible content.